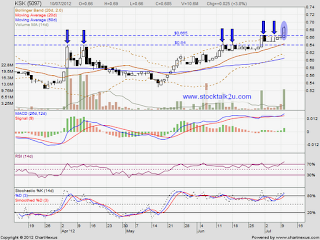 KSK succeed break through RM0.665 resistance with huge volume. Higher high been confirmed, uptrend stock. 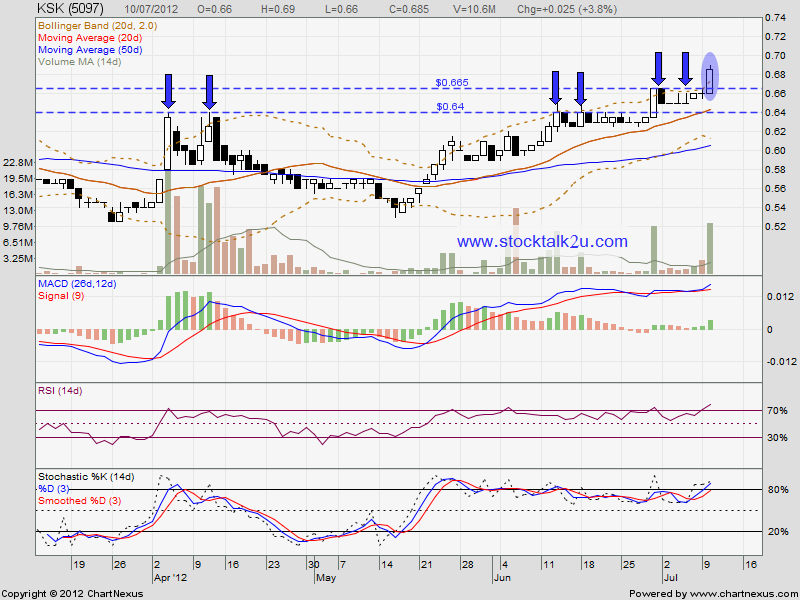 If retrace down, RM0.665 would be immediate support level.